First introduced to crafters in the 1970s, the BeDazzler has been adding sparkle to clothing and accessories for more than four decades. However, you aren't limited to the standard uses for this handy little crafting tool; try some of these fun project ideas on for size. To add sparkle and style to your wall, make a BeDazzled silhouette and frame it. Start by drawing an outline of a person or animal on a piece of cotton fabric. Then use the BeDazzler to follow the lines. If you're feeling ambitious, you can even fill in the design with more sparkles. Then frame the fabric and enjoy your masterpiece. BeDazzling jeans is nothing new but for an updated look, try a tuxedo stripe. Find a pair of skinny jeans that fit you well, and then create a double line of gems up the outside of each leg. You can follow the outside seam for a perfectly straight line. 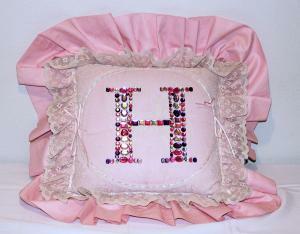 Create a personalized throw pillow for a kid or teen using your BeDazzler. Start with a purchased pillow cover. Simply remove the pillow insert and then use a fabric marker to draw a letter on the front of the pillow. BeDazzle over the letter to make a glam bedroom accessory. If you're planning a party, you can add sparkle and fun to favor bags by using a BeDazzler to close them. Simply add candy or treats to the bags and fold the tops over once or twice. Then use the BeDazzler to seal the bags and add decoration at the same time. Take a step beyond the standard BeDazzled baseball cap by creating a cold-weather accessory you'll be proud to wear. 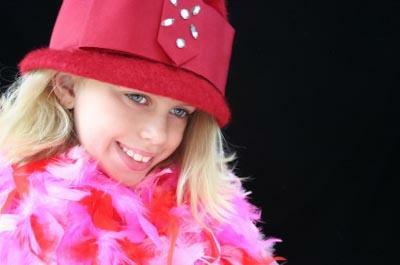 Purchase a wool cloche-style hat, and then add decoration and detail with a simple BeDazzled design. 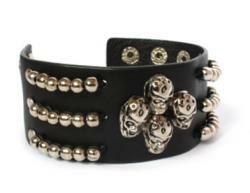 Cuff bracelets are fun and easy to make, especially when you can add sparkle or studs. Purchase a piece of leather from your local craft store and cut it to fit your wrist. Add a snap or button for the closure, and then go crazy with the BeDazzler. Because a bracelet is so small, you can cover the whole thing with gems without going overboard. Make a little book with kids or as a gift, and use the BeDazzler to bind it. Simply line up the pages in the desired order, and then punch through all the layers using the BeDazzler. You'll need to make sure the book isn't too thick for the tool, but if it is, you can always pre-punch the pages. Another simple clothing idea is to BeDazzle just the lapels of a jacket. Choose a simple black blazer or similar piece to create a striking evening look that's fun and funky without being over the top. If you have seat covers on your car, why not give them some extra sparkle? Use the BeDazzler to add rhinestones to the top and sides of each seat or to create a cute design. You can make a statement with your bridal bouquet by BeDazzling the ribbons. One fun idea is to include the words "I do." You can also add your initials or just a pretty decoration. Get a simple dark blue or black bedspread and map out some of your favorite constellations using a fabric pencil. Then get started with the BeDazzler. You'll be sleeping under a starry sky in no time. For your next birthday party, make a paper cake topper and BeDazzle it. Simply cut out the shape you'd like, tape toothpicks to the back to help it stand up on the cake, and start BeDazzling. The holidays are all about glitz, which makes them the perfect time to use a BeDazzler. Decorate the tops of Christmas stockings and add a glimmer to holiday ornaments and ribbons. Choose gems in green and red for even more holiday spirit. 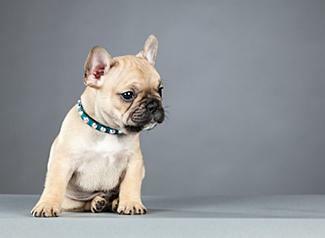 Decorate your dog's collar with a row of rhinestones. You can also make a matching leash that's similarly sparkly. Another fun option is to add glitz to your dog's sweater or coat. Try out your BeDazzler on your bathroom. Purchase a simple shower curtain, and then add sparkle with a BeDazzled design. Even a simple stripe of rhinestones along the bottom of the curtain gives your bathroom a sweet disco feel. You can also add shine to your dining table. Purchase a plain table runner and bedazzle around the edges of the cloth. Alternatively, create a fun design of flowers, a monogram, or another cute motif. Decorate gift bags, ribbon, and wrapping paper with beautiful gems. A BeDazzler is perfect for wrapping holiday gifts, but it can also bring extra style for birthdays, weddings, and other events. Creating your own apparel, home decor, and gifts using this handy tool is easy and enjoyable. Soon, you'll find that you're coming up with your own creative ideas for using a BeDazzler to add sparkle and fun to your life.